It seems that Dept of Immigration Australia is becoming tougher and tougher on Partner Visa Applicants day by day. AAT (Administrative Appeals Tribunal) reported about 37% of cases rejected by Dept and review applicants are awaiting Hearing at AAT. Why it so hard now? There are various reasons. Large number of applicants think that it is the easiest way to get permanent residency for Australia – no age, education, skills, English or any other requirements and applicants think just to find an Australian Partner and lodge the partner visa application. The fact is that partner visa application looks easy on paper but in reality it is the toughest application you will ever make. Dept. has noticed large number of applicants were fraud – it means that after receiving residency partners part within a year or two because they were not genuine partners so now Dept. is very strict and Dept. will thoroughly analyze each case and it takes much longer a year or year and half or more by Dept. to grant first stage of partner visa. Partner Visa application for Australia has now become very complex, challenging, demanding and time consuming where by applicants must meet with criteria at the time of application, at the time of decision and at the time of visa grant. Also after receiving first stage of partner visa, the applicants also have to meet with criteria of second stage of partner visa which is permanent partner visa and many applicants were rejected in second stage of partner visa application by Dept. So, you simply never think that you can escape the fury of Dept. 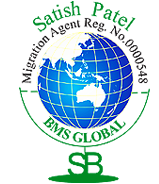 We at BMS Global have been providing Partner Visa Application services for Australia for last almost 20 years and we have dealt with many complex and challenging cases and we were successful in getting partner visa for our clients. It is certainly exhaustive work so prices are quoted accordingly and our clients were very happy to pay us our fees with their blessings that they have always recommended our services to their friends and relatives. 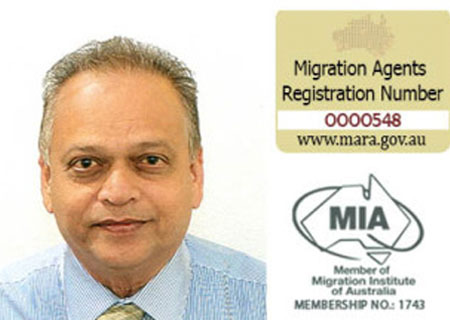 Please feel free to contact us for your partner visa cases if you wish to process your partner visa application or if you come across complex situation whereby Dept is asking you for further information or providing further documents and we shall be more than happy to assist you at very reasonable costs.